Ready to take your fitness to the next level? Are you looking to become more active but need some instruction? Are you a runner who wants to track progress? Do you need a way to measure your activity in the pool? Well, that’s where waterproof fitness trackers come in. Not only do they track metrics like pace, heart rate, distance, and calories…but they’re waterproof also. Now you can wear a tracker in the pool or shower and not worry about it breaking. In this way, it never has to come off your wrist. Plus, you’ll receive HIGHLY accurate data all day and night with no interruption. This is the best way to make improvements. If you are new to waterproof fitness trackers, you may find it difficult to choose one. And if you’re not new to these devices, you may want information on the best trackers out in 2019. Either way, this guide will help. First, we will discuss all the benefits of using a waterproof fitness tracker. Next, you will learn how to choose the best one for your life. 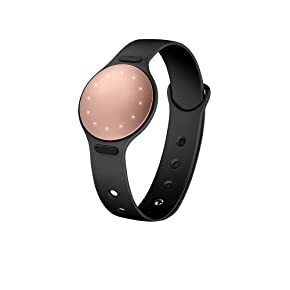 Afterward, we will end with a review of the top 9 best waterproof fitness trackers in 2019. Let’s begin. Track fitness metrics for convenience and greater health. Many features for runners: GPS, pace calculator, distance tracking, etc. No more carrying phones during physical activity thus keeping it safe. Waterproof, wear it in the pool or shower. Tracks heart rate for improved physical fitness and health. Connect to apps and communities. Share results with friends and post to social media. Some track sleep for better health. Step counter to push yourself to move more each day. Ditch the bulky watch, use for both fitness and everyday life. Now that you know the benefits of using waterproof fitness trackers, let’s discuss how to choose one. Is this your first time shopping for a waterproof fitness tracker? If so, read this section to learn how to choose one that’s best for you. What you will find is that every waterproof fitness tracker is different from the next. For example, one type may have a watch face that’s a touch screen. Now you can easily navigate through various options and have direct control. On the other hand, some trackers are slim, and only use lights to communicate your progress. All control is coordinated through an app. Past these two designs are some degree in between. So, do you want simple or involved? Big or small? Fashionable or plain? Look through each design type, and find what suits you best. What fitness activities do you plan on performing? Are you buying a waterproof fitness tracker for running? Swimming? The gym? Or maybe you just want to track everyday life. Here’s the point: make sure the features on the watch will help with the activity you wish to perform. Fitness trackers do just that, track fitness. So you can be pretty confident that your tracker will measure metrics like distance, calories, and pace. But trackers don’t just stop there. Some have GPS, count steps and floors, and handle more water than others. For example, if you want a waterproof fitness tracker for running, some have GPS routes and interval settings. This way, you have a path to improve as a runner. But although these features may be a “must” to a runner, it may not be relevant to someone who merely desires to track their heart rate and steps per day. So choose a watch that aligns with your goals. So check out the extra bells and whistles and determine what makes your potential tracker different. What you will find is that some waterproof fitness trackers are made by well-known companies and some…by the not so well-known. And the price is a reflection of that. So, do you want to make the investment and go with an industry-leading manufacturer? Or do you want a low-cost option? Companies like Garmin, TomTom, Polar, and Samsung are among the most trusted. So now that you know how to choose a waterproof fitness tracker, let’s explore the top 9 best waterproof fitness trackers of 2019. Fitbit is an industry leader when it comes to health and fitness trackers. That’s one of the reasons the Fitbit Versa hit the top spot…but it’s not the only reason. Whether you are running, swimming, or taking a fitness class, this waterproof fitness tracker has you covered. Let me start by mentioning it comes with a 24/7 heart rate monitor. So not only can you keep track of your bpm’s for greater health, but you can train with your heart rate to become a better runner. Speaking of running, it has a GPS system for tracking routes, calculating pace, and measuring distance. Although this fitness tracker is a top choice for runners, it’s also an excellent option for swimmers. In fact, it comes with over 15 exercise modes for both running and swimming alike. 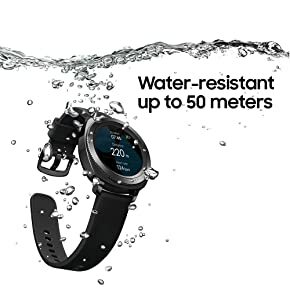 And if you do go for a dip, it’s water resistant up to 50 meters. If you’re are an endurance athlete, or want to become one, this waterproof fitness tracker is worth considering. Stores over 300 songs. Now you don’t have to carry around a music player. Excellent fit for fitness enthusiasts. It won’t get in your way while working out. It comes with everything a runner could need. Superior battery life that lasts for over 4 days with only one charge. Bluetooth connection issues for some. If you are looking for a simpler design in the Fitbit family, than check out the Fitbit Flex 2. 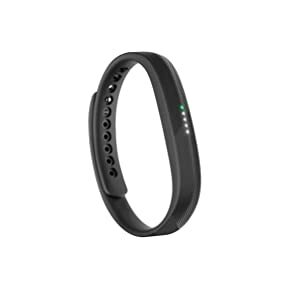 Besides its waterproof design, it has a slim profile and comes at a lower cost than other Fitbit fitness trackers. One of the more popular tracking metrics is its step counter. As you may know, tracking daily steps has become somewhat of a fad these days. People all over the world count their daily footsteps to improve their help. In fact, some take on a 10,000 step-per-day challenge. You may have seen it through social media. The point: if you want a highly accurate fitness tracker for steps, calories, distance, and active minutes, then this one is certainly for you. Remember, it’s a simple design, so it doesn’t come with a watch face. All your metrics are sent directly to the Fitbit app. It does offer a color-coded LED light pattern to track the progress towards your daily goals. Overall, this fitness tracker is simple, slim, and accurate. 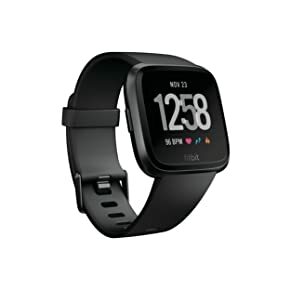 Low price point compared to other Fitbit fitness trackers. Ultra-thin and lightweight, hardly know you’re wearing it. Highly accurate pedometer for steps. Vibration for call and text alerts. No watch face so you must use its App for data. Lacks features found in some of the more involved trackers. As I runner, I’m a bit biased when it comes to Garmin products. I’ve had nothing but excellent experiences with their products. It’s the most popular watch company for runners and trusted by many. With that said, what makes the Garmin Forerunner 35 a superior choice? Well, you still get a high-quality waterproof fitness tracker even though it’s a Garmin low-cost option. It’s economical in the fact that you get basics like GPS, pace, distance, and calories, but at the same time, there are advanced options as well. A 24/7 heart rate monitoring system and automatic uploading to Garmin Connect are just to name a few. 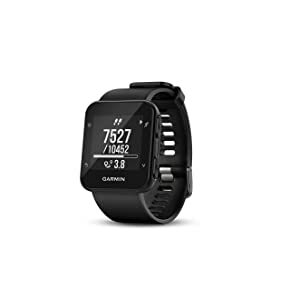 The Garmin Connect provides you with a free pass into their online fitness community. You can also post your runs to your social media accounts. It will even pull texts and social media posts if your phone is compatible. 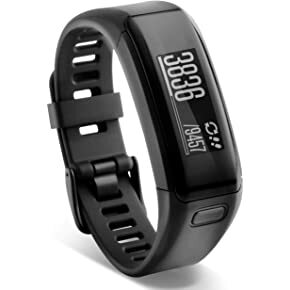 Simply put, this waterproof fitness tracker is a top choice for runners and trusted by many, including myself. Simple to use running features like GPS and pace. Made by Garmin, the top running GPS watches in the industry. Comes with a one-year consumer limited warranty. Accurate heart rate monitor and GPS. Only one interval time for speed training workout. Just like a road marathon runner loves to track pace, a trail runner loves to track elevation. And that’s what makes the TomTom Adventurer so unique. This waterproof fitness tracker not only comes with GPS and a compass, but it utilizes an altimeter as well. An “altimeter” is a word that describes a device that tracks elevation. Trail running and altitude go hand and hand. Plus, if you decide to hop in a lake, this waterproof fitness tracker can handle up to 40 meters. It also has an advanced training and trail exploration mode. One of my favorite options is how you can compare your current fitness level to others within your age range. 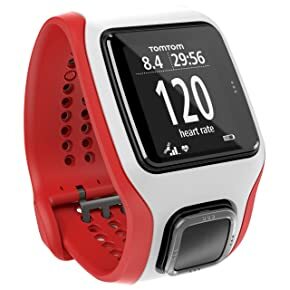 Once calculated, it provides your “fitness age.” For example, if you are 35 years old and your fitness level is like other TomTom users who are 25 then your “fitness age” is 25. It’s an excellent way to stay young and active. Overall, this is the perfect fitness tracker for outdoor activities on the trails, specifically running, hiking, and swimming. A superior option for triathletes. Keep track of total elevation gain. Use advance training modes to push yourself harder. Built-in music player that comes with Bluetooth headphones. 24/7 heart rate monitor, tracks while sleeping. Tracks basis metrics like distance, pace, calories, and more! How can you best describe the LETSCOM waterproof fitness tracker? Well, it’s a tracker for those looking for a low-cost option. Yes, higher-priced options like 24/7 heart rate monitoring, sleep tracking, running metrics, and waterproof protection; however, it’s not made by a well-known company. And chances are, it won’t last as long compared to Fitbit and Garmin. Still, it’s better than having no tracking device, and it’s an excellent option for those sitting on the fence, deciding to buy a fitness tracker or not. This way, you don’t have to make a big investment up front. Give it a shot, keep it, or step up to a waterproof fitness tracker of higher-quality. So, if you’re are looking for the best low-cost option… then this is it. Tracks performance for metrics like steps, calories, and distance. Known for excellent customer service. Low-cost compared to similar products. Multiple color options, buy different colors to match different outfits. Some have experienced inaccurate heart rate readings. Not made by a well-known company. App is not the greatest quality. Polar is one of the top fitness tracker companies when it comes to monitoring heart rate. For a while, all their products required a chest strap plus the watch for greater accuracy. Lately, however, they’ve released trackers without a chest strap like this Polar A370. 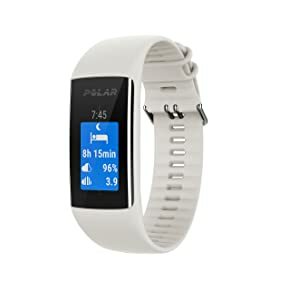 So, if tracking heart rate was necessary for me, and I was going with a “watch only” setup, then I would definitely choose Polar. This fitness tracker, in particular, is a slim design, but at the same time, also has a screen. It’s lightweight and can receive notifications for text messages and incoming calls. It pairs with Polar’s well-known GoFit App also. Wear it at night and it monitors your sleep as well. 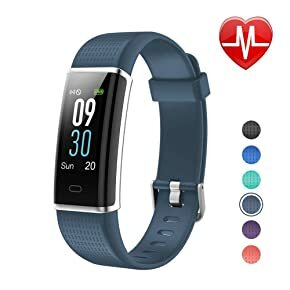 Overall, it’s a slim waterproof fitness tracker made by a leader in the industry for heart rate monitoring and offered at a fair price. Highly accurate heart rate monitor. Waterproof design for running in the rain or sweating at the gym. Tracks metrics like steps, distance, pace, etc. Made by Polar, top in its class. Slim profile is lightweight and refreshing to work out with. Watch face is on the smaller side. The VivoTracer is the slim option from Garmin’s waterproof fitness tracker line, and offered at an excellent price. No, there aren’t many color options to choose from. However, it’s highly accurate as it reads distance, heart rate, steps, floors climbed, and overall intensity. Even with its narrow design, it still has a touch screen. Combine that with its price, and the VivoTracer becomes the ultimate design for beginners. You can even control your music and snap pictures from your wrist. It’s waterproof too and can reach depths as far as 50 meters so feel free to wear it for a swim or in the shower. And of course, it hooks to the popular Garmin App for tracking progress as well as connecting with their community and posting your results to social media. Made by Garmin, one of the top fitness tracker company’s on the planet. Accurate tracking, even in the water. Waterproof, swim or run in the rain without worry. No GPS directly from watch face. The Samsung Gear Sport is just like any other Samsung product…packed with features! Whether it’s swimming in the pool, working out with personal coaching, or using Samsung Connect to control tracking metrics (and house lights and appliances! ), this watch has a feature you will enjoy. Good news is it’s compatible with both Android and iOS smartphones. So if you’re connected by Bluetooth (30ft or less), you can receive both calls and texts. This fitness tracker has a unique design too. In fact, it’s one of the more fashionable waterproof fitness trackers on the list. I’d put it closer to an Apple Watch than a Garmin GPS tracker. If you are into the newest in technical advances, then check out Samsung’s new waterproof fitness tracker. Made by Samsung, a well-known company with excellent warranties. Personal coaching feature for real-time instruction while running or working out. Accurate tracking metrics like distance, pace, heart rate, etc. High price point compared to similar watches. Face is on the larger side. What I love most about the Misfit Shine 2 is it’s the commitment to helping you reach your goals. Through its aluminum disc and multicolor LED lights, it tracks your progress while sending vibrational “nudges” to help you push harder in achieving your goals. This waterproof fitness tracker is an excellent choice for swimming laps as well. No more wiping water off the screen to view data. It also measures steps, calories, sleep, and calories. And here’s the kicker…it uses replaceable batteries. So unlike the many fitness watches where you have to plug into a charger constantly, the battery life is up to 6 months! Sweat and waterproof for the pool or gym. Innovative design for those looking for something a bit different. A wide watch face design, but no actual screen. Overall, what you’ll find is there are many different options when it comes to choosing a waterproof fitness tracking device. The key is to decide what features are important to you, which ones are not, and to select a device that’s right for your price point. Make sure to read reviews, take a look at warranties, and ask for advice. It’s time to turn it up a notch and take your fitness to the next level!